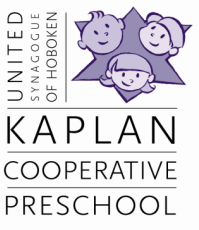 Kaplan Cooperative Preschool is open Monday-Friday from 8:00am to 6:00pm. Children are welcome to attend part time or full time. Each child is on his/her own schedule. The Preschool has a core program from 9-12 that can be complemented with early morning drop-off (8-9am), lunch bunch (12-1pm), afternoon enrichment (12-3pm) and aftercare (3-6pm). For more information visit the Preschool page. Can my child have a different schedule on different days of the week? Yes, if your child is enrolled in the preschool, she/he will attend a minimum of three hours two days a week, and you can build on that by using enrichment, aftercare and/or early morning drop-off on different days. For more information contact the office at ushpreschool@gmail.com or call 201-653-8666. Does my child have to be toilet trained to enter the preschool? No, we do not require toilet training previous to enrollment. We will support you through that process when the time is right for your child. We will change diapers until that time. What if my child has trouble separating from me? We handle separation sensitively. During the first few days of school we ask that a caregiver is available to stay for part (or the whole) of the class time so that the children have ample time to separate calmly and acclimate to their new environment. If separation anxiety persists after that, we work with each family individually to best help their child. What degrees do you require of your teachers? All our teachers are college graduates and many of them have Master's Degrees in Early Childhood Education. We have a very experienced and nurturing faculty. You can read our discipline policy in the Policies page, and/or download it on the Forms page. If a child has continued difficulty adjusting to our program and the structure of our classrooms we work closely with the family. Can I hire your teachers to babysit for my family? No, we have a policy that requires teachers and families to avoid socializing outside of USH/KPS events. My child doesn't like to nap, why does he have to? The State of NJ requires all early childhood programs to provide a minimum of 30 minutes of rest or sleep for all children who attend for four or more consecutive hours. A child is never forced to sleep, but we require them to stay quietly on their mat looking at a book or playing with a special toy for half an hour. My child missed a few days of school when she was sick, can we make them up? Unfortunately, we cannot accommodate extra children in the class on days when they are not enrolled. What does the Helping Parent have to do? Our Helping Parent provides and prepares a kosher snack for the class and assists the teachers manage the group in small ways, like helping move the children from one space to another, reading a story or helping out at a center. But mostly it is a day to enjoy your child and get to know what she/he does when at school. I'm not Jewish, will I fit into the school community? We welcome children and families of all faiths to our school community. It is our goal that everyone be comfortable at Kaplan. We welcome interfaith families, members of the LGBT community and single parents. We also welcome Jewish families who are beginning their Jewish communal journey.